We offer in-house access to services including minor surgery, the removal of lumps and bumps, along with Specific Long term condition clinics and Anti coagulation monitoring. We also have interpreters, health-care assistants, phlebotomists, counsellors, mental health care and cognitive behaviour therapists, midwives, smoking-cessation nurses, occupational health visitors and pharmacists. In addition, we offer, among other services, travel vaccines (see the next tab), contraception advice and smears. We hold flu clinics, baby clinics and specialist clinics for the monitoring of rheumatoid arthritis drugs, joint injections etc. 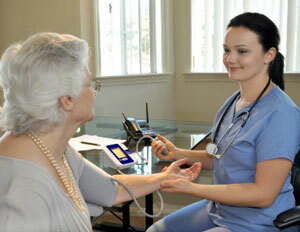 We provide education classes including the Desmond Course for patients to learn about controlling their diabetes. If you require an interpreter, please let us know when you book the appointment. We regularly offer patients access to face to face interpretation services. Telephone interpretation can also be arranged for telephone appointments. If you require personal forms completing, please leave them at reception; the receptionist will advise you of any requirements or costs involved on an individual basis. Please self-certify with your employer for the first 6 days of any sickness. After this initial period, you will need to be seen by a doctor. (As a general rule, sick-notes cannot be back-dated).